Despite the country’s rush to embrace the future, its past cannot be ignored, particularly when it confronts you at every turn. Warsaw may be embracing New World cuisine, café culture and clubs that never close, but you’ll still encounter peasant women selling bunches of flowers in its beautifully reconstructed Old Town. Drive across the country’s northern expanse and you’ll stumble upon a string of 14th-century Gothic castles, like the magnificent example at Malbork, the last remnants of the once powerful Teutonic Knights. Catch a no-frills flight to Kraków or Wrocław and you’ll arrive in magnificent medieval centres. Or choose almost any major city, from Lublin to Poznań – and too many small towns – and you’ll bear witness to extermination camps established by Nazi Germany, derelict Jewish cemeteries, and dark political prisons, terrible reminders from the last 70 years. The former country’s capital is one of the top tourist attractions in Europe. Most of the city guests are captivated by its magical atmosphere and the splendid architecture. In Krakow you can see mediaeval cathedrals, the Renaissance castle, Baroque churches, the Art Nouveau theatre and many other monuments. However old and beautiful it is, do not think that Krakow is limited to the monuments and museums. Thanks to an amazing density and variety of bars, pubs, clubs and restaurants, Krakow sparkles with life, especially during warm seasons. It looks like something unreal – may be a surrealist painting or a cartoon but it is a real building. The most photographed building in Poland, the Crooked house is located in Rezydent shopping center in Sopot, Poland. This 4,000 square meter house was designed by the Polish architect Szotynscy Zaleski, who got the inspiration from the fairytale illustrations of Jan Marcin Szancer and the artwork of Per Dahlberg. The special impression is given by colourful stained glass entrances, stone elevation decors and windows framed with sandstone. One more peculiar of the extraordinary building is a roof of blue-green enameled shingles designed to give the impression of a dragon. Moreover, it looks really fantastic at night when it is lighted. This is a great zest of the architect’s thought. Opening hours are very diverse and it is difficult to apply any rules. Most grocery stores open at 7 in the morning and are open until 7 pm from Monday to Friday, but there are many exceptions. The smaller shops close earlier on Saturday while on Sunday they do not open at all. There are also numerous supermarkets belonging to international chains that are often open seven days a week until late. Modern shopping malls are mushrooming in all major cities, especially in Warsaw where the shopping centre boom is unparalleled with any other city in Eastern Europe. Very special are “bazary” (market places), usually located close to city centres. Apart from fresh fruit and vegetables it is possible to find almost anything there. A country this size has enough going on to make it a year-round destination, but most people visit when the weather is warmer, from May to October. The tourist season peaks in July and August, when schools and universities are on holiday and most Polish workers and employees take their annual leave. 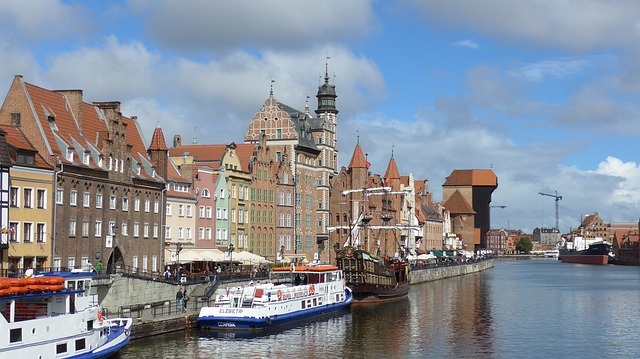 It’s a time when things can get very crowded, particularly in tourist hot spots such as the Baltic beaches, Great Masurian Lakes and Carpathian Mountains. The likes of Kraków and Warsaw can also seem overrun with visitors during the peak. Naturally, in July and August transport becomes more crowded too, and can get booked out in advance. Accommodation may be harder to find, and sometimes more expensive. Fortunately, a lot of schools, which are empty during the holidays, double as youth hostels, as do student dormitories in major cities. This roughly meets the demand for budget accommodation. Most theatres are closed in July and August. If you want to avoid the masses, the best time to come is either late spring/early summer (mid-May to June) or the turn of summer and autumn (September to October), when tourism is under way but not in full flood. These are pleasantly warm periods, ideal for general sightseeing and outdoor activities such as walking, biking, horse riding and canoeing. Many cultural events take place in both these periods. The rest of the year, from mid-autumn to mid-spring, is colder and darker. This doesn’t mean that it’s a bad time for visiting city sights and enjoying the cultural life as it’s no less active than during the tourist season. Understandably, hiking and other outdoor activities – aside from skiing – are less prominent in this period. Most camping grounds and youth hostels shut up shop at this time. The ski season runs from December to March. The Polish mountains are spectacular, but the infrastructure (hotels and chalets, lifts and tows, cable cars, transport etc) is still not well developed. Zakopane, Poland’s winter capital, and the nearby Tatra Mountains have the best ski facilities. Poland’s climate is influenced by a continental climate from the east and a maritime climate from the west. As a result, the weather is changeable, with significant differences from day to day and from year to year. Winter one year can be almost without snow, whereas another year very heavy snows can paralyse transport for days. Summer can occasionally be cold, wet and disappointing. The seasons are clearly differentiated. Spring starts in March and is initially cold and windy, later becoming pleasantly warm and often sunny. Summer, which begins in June, is predominantly warm but hot at times, with plenty of sunshine interlaced with heavy rains. July is the hottest month. Autumn comes in September and is at first warm and usually sunny, turning cold, damp and foggy in November. Winter lasts from December to March and includes short or long periods of snow. High up in the mountains, snow stays well into May. January and February are the coldest months. The temperature sometimes drops below -15°C, or even -20°C. Following its accession to the EU, Poland declared its intention to adopt the euro as its currency as soon as possible, but due to the poor state of the economy it probably won’t happen before 2012. The official Polish currency is the złoty (literally, ‘golden’), abbreviated to zł and pronounced zwo-ti. It is divided into 100 groszy, which are abbreviated to gr. Banknotes come in denominations of 10zł, 20zł, 50zł, 100zł and 200zł, and coins in 1gr, 2gr, 5gr, 10gr, 20gr and 50gr, and 1zł, 2zł and 5zł. The banknotes feature Polish kings, come in different sizes and are easily distinguishable. Try to keep some small-denomination notes for shops, cafés and restaurants – getting change for the 100zł notes that ATMs often spit out can be a problem.